Today was a day filled with transitions for Peatuk. First, his big-boy bed arrived. Nikola and I spent the morning putting it together. It’s an ikea bunk bed, but rather low to be a bit safer in case he falls. 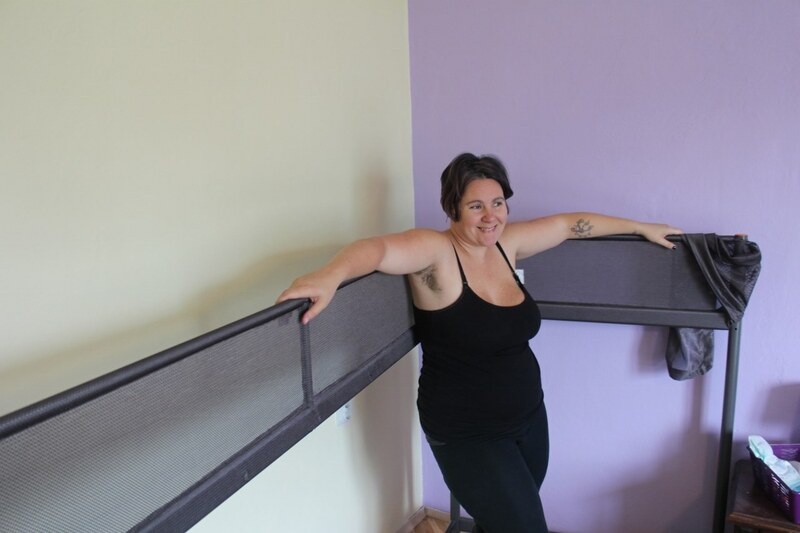 It was surprisingly difficult to put together for something from ikea- the stretch mesh that goes around the top of the bed was difficult to get into place and the second direction, which I read as, “Do this with a friend,” was definitely necessary at times. 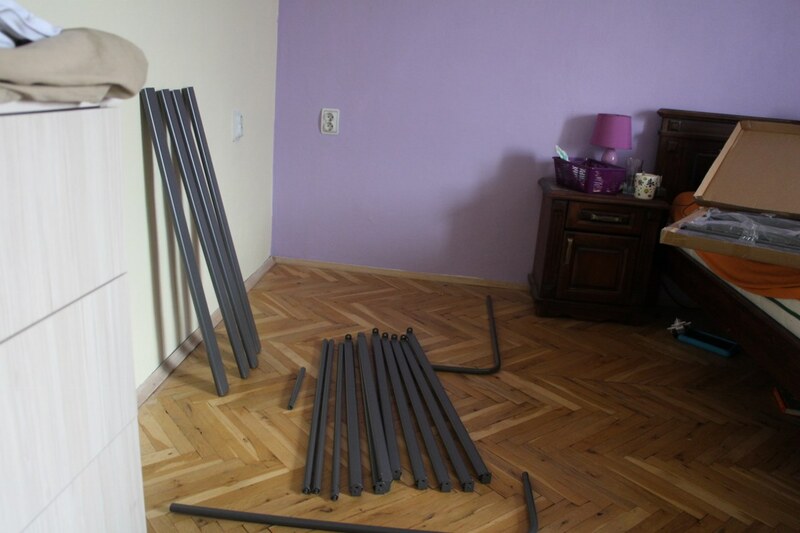 I love assembling things, so I was having a blast with the bed. Then I realized I hadn’t had a shower in over a week, so I left the bed to get under some hot water and apply some soap to my current stank. In reality, the graduation doesn’t change Peatuk’s life. He will still be going to that daycare until he starts at his new kindergarten in September. But it was a nice gesture to send off the older kids since some will be leaving this week and others will spend the summer with grandparents or on vacation. Plus it is nice to get to see what the kiddos have been learning all year. We are really trying to transition him to his own bed, because Jojo has outgrown the bassinet and is ready for the crib and all four of us crammed into a queen bed with a side-car crib gets uncomfortable and a little dangerous for the baby. I haven’t gotten good sleep since she hit four months and started startling awake whenever her hand brushed the side of the bassinet. Because of this I insisted that he stay in his own bed and told him he could come snuggle me as soon as the sun came up. These decisions are hard. I realize that these young years are precious. There is only so long that he will want to snuggle with us and I want to hold his little body as long as possible. But at the same time there needs to be some sanity in my life- a bit of alone time and the ability to sleep at night. 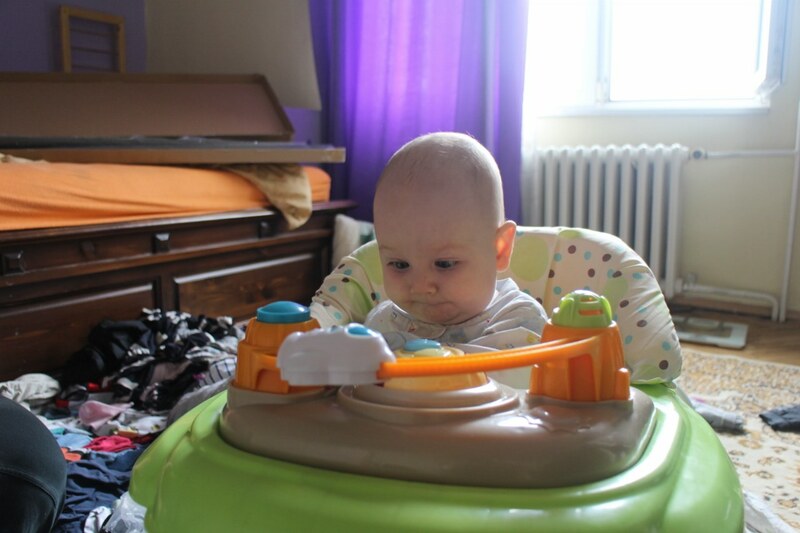 So… easy or hard, he is transitioning to the big boy bed. Sh e is using a walker. I am usually so anti these types of tools before the baby is old enough to support themselves, but she absolutely insists on being upright whenever she is awake and it gets exhausting to constantly hold her upright. So I feel like this is a good decision for us. Not to mention she absolutely loves this strange new toy. Today was a short day and nothing out of the ordinary. But it made me realize how fast these babies of mine are growing up and how absolutely precious and amazing they are.